The Windjammer cocktail blends pineapple and orange with amaretto for a taste that’s mostly fruit but also a little bit almond. This is a very tasty drink that doesn’t need any acquired taste. 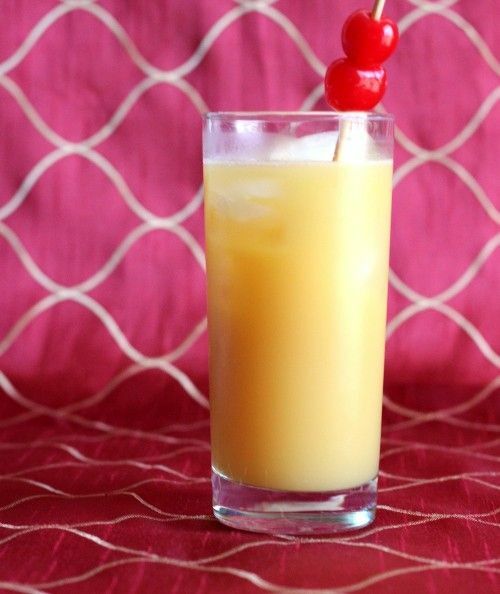 This drink is not very strong, and that fact combined with the fruit juice makes it a great thing to take along for a day at the beach or a picnic. Pour the three ingredients into a mixing glass and stir. Fill a collins glass with ice and pour the mixed ingredients over it. Top with a speared maraschino cherry.